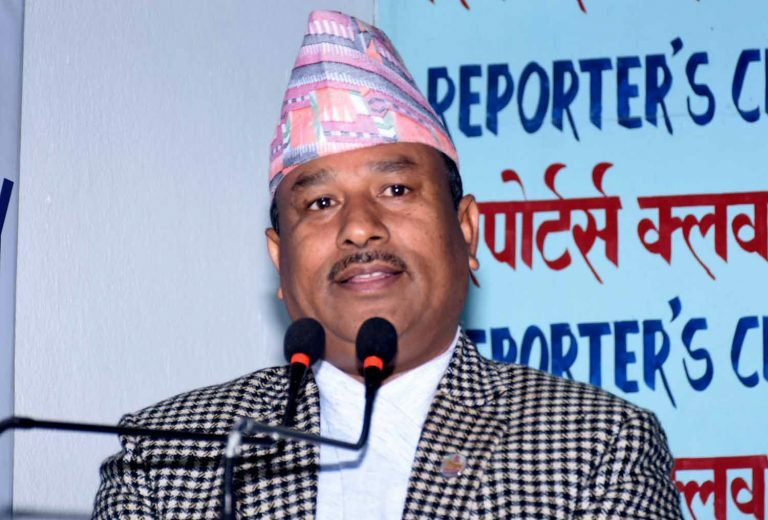 KATHMANDU, Feb 5: Minister for Youth and Sports Jagat Bahadur Bishwokarma has expressed his confidence that the International Cricket Council (ICC) will soon lift ban on Cricket Association of Nepal (CAN). According to Minister Bishwokarma necessary preparations are underway to elect a leadership for the Cricket Association of Nepal (CAN) by forming a five-member ad-hoc committee as per the ICC guidelines. The ICC, citing government interference, suspended the membership of CAN in April 2016 following an intervention by the National Sports Council (NSC) which led to a vacuum in cricket leadership in the country. According to Article 2.9 (B) of ICC’s Articles of Association, ICC bars any sort of government interference in cricket administration and requires free and fair elections. The CAN had elected a 17 member executive committee under the leadership of Chatur Bahadur Chand via overnight election in December 2015. However, the NSC, citing the election lacked validity, formed a 15-member ad hoc committee under the leadership of Ramesh Silwal and suspended the elected committee—resulting in the existence of two parallel cricket governing bodies in Nepal. Later the Chand-led committee filed a case at the Supreme Court against the NSC, leading to a suspension from the world cricket governing body. “The ICC advisory group has already endorsed the new statute passed by the CAN. The CAN, in government’s effort, has been asked to register the withdrawal of the case. The ban on CAN will be lifted through due process,” said the sports minister at an interaction program organized by Reporters Club Nepal on Tuesday. As per the suggestion forwarded by the ICC advisory group, the CAN in October last year decided to withdraw the case against the NSC sub-judice at the apex court. The advisory group has also requested the NSC to dissolve the ad hoc committee. The CAN has stated that it is working on the process of writ withdrawal. The minister also assured that the cricket players will receive their salary after the ban lift. The CAN has been giving salary to its contracted players, categorizing them into four groups. The players have not received salaries for the past two years following the suspension of CAN. The minister also requested the ICC to consider the positive environment building in Nepali cricket and lift the ban. One the occasion, he also shared the government’s decision to reward Rs 5 lakhs to each players for the outstanding performance in Dubai. Nepali national cricket team defeated host United Arab Emirates 2-1 in both one-day international and T20 international cricket series held from January 25 to February 3. The wining team returned home on Monday. Minister Bishwokarma further said that the construction of Mulpani Cricket Ground will be completed within two and half years. “The cabinet, after approving the proposal to resolve the land acquisition issue, has taken the budget proposal to the finance ministry,” he said. “We will call for bids after the finance ministry accepts the proposal. Minister Bishwokarma underlined the need to develop sports infrastructures in the country and added that the government is committed for the same. “The government is preparing to allocate budget to build international standard cricket stadiums in all seven provinces,” he said. “The cabinet, a month ago, passed a work plan to build sports infrastructures in all 753 local levels,” he added.